Once again, the very first to translate the latest trends into hairstyling fashion are BUNDY BUNDY, the leading Austrian hairstylists. This time they've picked up the in-word fusion. Insiders have been hearing the word repeatedly - especially backstage at the top designer shows in New York, Milan, Paris and London. What does fusion mean? Fusion is the refinement of the ordinary, creating an unprecedented, excitingly fresh style. The new BUNDY BUNDY look calls into question all of the previous conventions. For example, what is the evening hairstyle for 2002 and what are appropriate hairstyles for the office? The BUNDY BUNDY hair professionals manage this balancing act. Through their perfect mastery and intensive analysis, they set the fashion between optimal innovation and wearability. Now, with the presentation of these styling ideas for the fall/winter season, the BUNDY BUNDY style is obvious. All the old clichés merge, that's the pioneering character of the latest BUNDY BUNDY look. After seeing this presentation, it'll be clear that a page-boy cut doesn't have to be plain and a mohawk isn't necessarily a punk haircut. 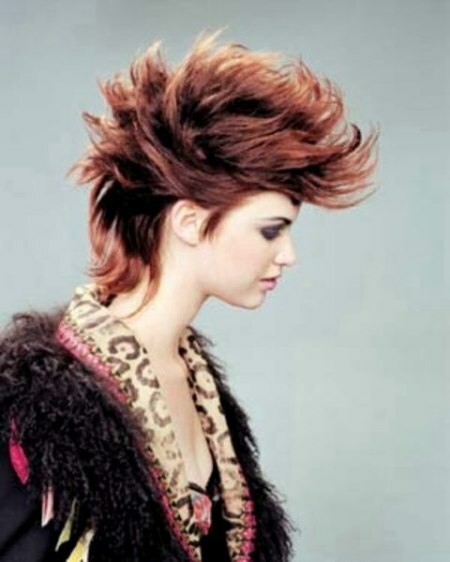 This step was made possible by BUNDY BUNDY's continual pursuit of the most advanced cutting techniques and the world's best styling and coloring products. And BUNDY BUNDY handle a fashion novelty like hair-pieces in a playful and avant-gardistic way. Instead of the usual manner of just attaching pieces of the same hair color, the BUNDY BUNDY design team had the idea of implementing provocative techno-colors as a contrast and styling element to the chosen basic hair color. The only thing that stayed the same this fall/winter season at BUNDY BUNDY is the usual luxury service they offer their elite and upcoming clientèle. Did you notice that the young woman with the mohawk and the diva with the wavy hairstyle are one and the same person? The BUNDY BUNDY principle provides that every haircut must facilitate at least three styling variations, which allows every client to indulge in topsy-turvy creativity. And as far as coloring is concerned, the BUNDY BUNDY coloring experts have developed new streaking techniques That cast an iridescent sheen to the hairstyle. Strands in honey and amber make blond hair more interesting. And with rosewood and panther-black, darker types appear mysterious and trendy.